Make no mistake this book is not for everyone; it requires the reader to make a giant leap of faith and accept some very powerful, if unusual concepts. 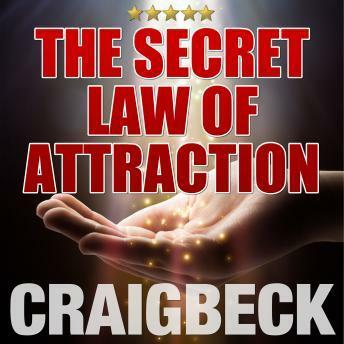 However, for those unique individuals who are really ready to receive the message, ‘The Secret Law of Attraction’ is a life-changing discovery. Rhonda Byrne’s ‘The Secret’ took the ancient wisdom of the Law of Attraction and exposed it to a mass market but the real truth behind the activation of this law has nothing to do with positive thinking, mantras or acting like a ‘rich person’ to become rich. Many people give up on the law of attraction before they discover the key to activating the true power of this divine function of the universe. In this profound book, extended and updated for this third edition. New thought author Craig Beck shows you how to dramatically improve every aspect of your life by flowing with the divine energy already residing inside you. changed the way I thunk therefore changed my life ... Amazing book for all to read .